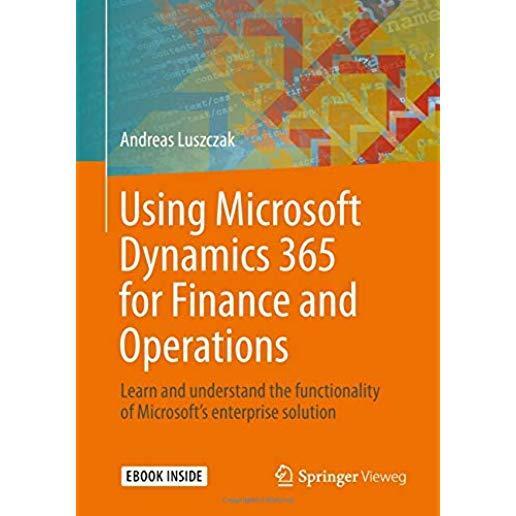 This book provides precise descriptions and instructions which enable users, students and consultants to understand Microsoft Dynamics 365 for Finance and Operations rapidly. Microsoft offers Dynamics 365 as its premium ERP solution, supporting large and mid-sized organizations with a complete business management solution which is easy to use. Going through a simple but comprehensive case study, this book provides the required knowledge to handle all basic business processes in Microsoft Dynamics 365 for Finance and Operations. Exercises are there to train the processes and functionality, also making this book a good choice for self-study.